Friday January 25th was United Way Day. This was a day that River Cities United Way assisted by Delta Dental and MCC had a chance to help the adults in our community with complimentary cleaning services. Ashley Wood of River Cities United got the funding approved for the event. 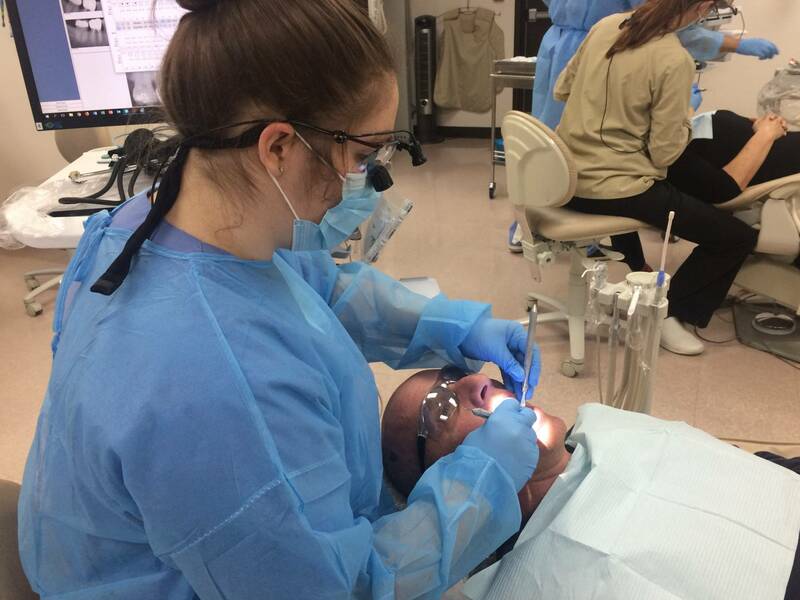 Second year dental hygiene students along with Greg Sindad, DDS., got to help approximately thirty patients with a variety of oral needs many of whom had been to the dental clinic at MCC before. The event doesn’t just benefit the community or River Cities United Way, it also benefits the dental students who are getting in valuable, and required, clinic hours. A huge thank you to Ashely Wood of River Cities United Way for getting the funding for this event approved. Get more information on the MCC Dental Hygiene School. You can also call 1-866-MOHAVECC and ask to be transferred to the dental hygiene school. ← Welding Presentation for PASS/PALS Students by MCC.